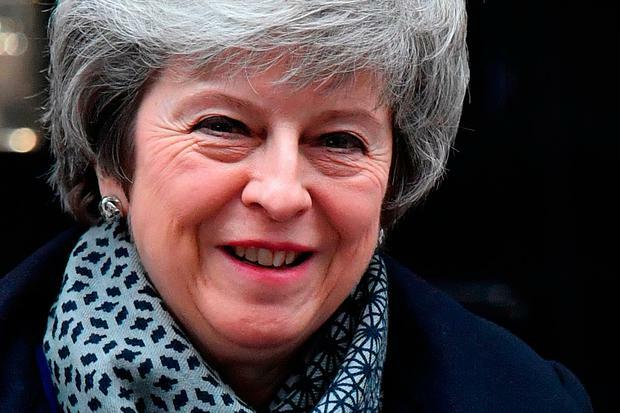 Theresa May looks set to get an extension to the Brexit deadline of March 29. But she must soon be able to tell EU colleagues where this whole mess is headed – and that is by far the harder part. Shortly after her historic, crushing defeat, Mrs May talked up a “collaborative approach” to finding a new Brexit deal. But first off, she had to deal with the little detail of seeing off Labour leader Jeremy Corbyn’s attempts to oust herself and her government colleagues. Now that she has – as expected – survived, what can she do? And will it work? The lame duck prime minister spoke of meeting the Democratic Unionist Party (DUP), and senior people across various parties, to see what would get parliament’s backing. She said her approach would be “constructive” but ideas would have to be realistic for negotiations with Brussels and capable of getting wide support from MPs. Contacts were understandably slow yesterday given the no-confidence motion in play. But it is clear her moves will go nowhere without meaningful engagement with Labour and the Scottish National Party, and something must be put together by Monday due to various other MP votes last week. The immediate problem is that the terms for these future discussions as outlined are already looked upon askance. They are referred to by some Labour MPs and the Scottish members as “red lines” which must be abandoned. Against that, too much bending on these terms could drive away some of her existing 200-plus supporters. So, as often happens, it’s about bringing on new supporters without alienating the ones she has got. Mrs May has committed to leaving the EU with a deal. But a majority of the MPs have also signalled that her threat, in extremis, to quit without a deal, must now be taken off the table entirely. As with many other things, the prime minister has relented on her determination to push for the March 29 deadline. Now she is saying any extension is only likely to get EU approval if London has a plan for the immediate future. Next up is the question of the Border backstop. Mrs May has agreed to this insurance policy designed to prevent a hard Irish Border. This has already cost her the DUP support and that of a large cohort of her own Conservative Eurosceptic MPs. By contrast, Scottish National Party MPs objected because they did not get a backstop-type deal. More problematic again is Mrs May’s ambition to end free movement of people from within the EU, truncate EU Court jurisdiction for commercial disputes, and stop all payments to EU coffers. But these aims are all impediments to wooing pro-EU MPs who want to either retain single market membership or else get a relationship like non-EU member Norway. The prime minister has often talked up the Brexit benefit of Britain having an independent trade policy. This principle is crucial because it has to rule out Britain remaining a member of the EU customs union. In fact Labour has committed to a new permanent customs union with the EU after Brexit. The embattled prime minister has clung to those same principles through the latter end of the EU-UK talks and especially since she has so unsuccessfully sought support for the draft deal she concluded on November 25. It is now clear that there are few identifiable policy changes she can make which might meld keeping to those principles – but also succeed in meeting demands to bring more supporters on board. Much will also depend on whether Mr Corbyn can at least park his quest for an early general election. Can he make a political virtue out of helping his sworn opponent in the people’s interest? That raises two more questions: can Corbyn’s pro-EU lieutenants persuade him? And would the Tories accord enough kudos?